The 2014 craft beer scene just seemed to zoom by.... there was so much activity. What a new landscape for 2015. 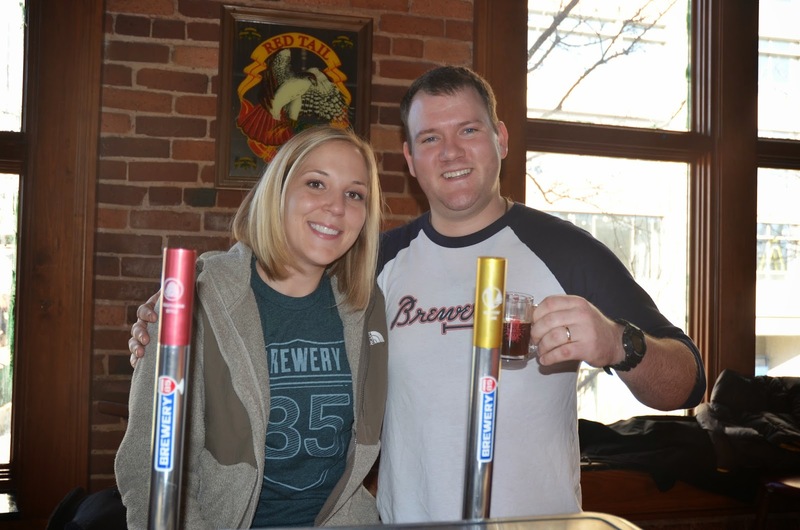 For example, Barley's Taproom & Pizzeria (Greenville) beer fest is coming around again (see previous post) and when this photo was taken (Barleys, Jan 19, 2014), Brewery 85 wasn't even open yet. And Will and Meredith weren't parents! What a difference a year has made and other clichés seem somehow appropriate right now. So I'm taking this opportunity to wish everyone who makes beer, drinks beer, looks at beer, writes about beer or even thinks about beer, a fantastic, hoppy and successful 2015. Cheers!